Dutch researchers say it might be possible someday to "breed" robots, allowing the robots themselves to select out what traits are most "attractive" in environments with unanticipated challenges. A research team at VU Amsterdam created a "Birth Clinic" with a 3-D printer, a "Nursery," and an "Arena" where the toy-like robots live, work, and reproduce. 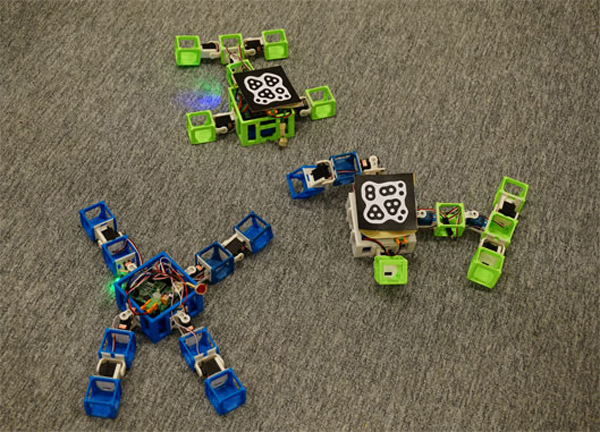 The robots have a motivation to go toward a red light and "mate"--or upload a combination of their physical traits to the nursery's 3-D printer, along with a combination of their software. They envision robots that could use evolutionary-type processes to create better versions of themselves for deep sea mines, other planets--or perhaps even the human body.